We define a Structured Product as, 'An investment backed by a significant counterparty (or counterparties) where the returns are defined by reference to a defined underlying measurement (such as the FTSE 100 index) and delivered at a defined date (or dates)'. As a simple example, a 'capital at risk' structured product might offer a return of, say, 51% on the investment if the FTSE 100 was at the same level or higher on the day the product matures in 6 years time. If the FTSE 100 is below that level it will return the original investment amount, unless it is more than a specified amount below, say 40%, whereupon capital would be reduced by the equivalent fall in the FTSE 100. 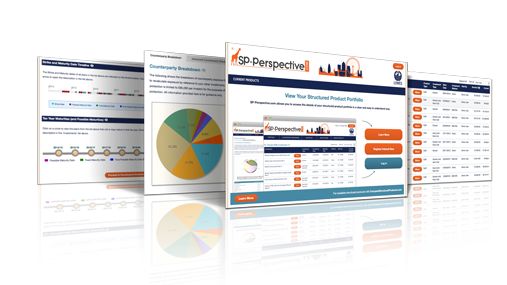 CompareStructuredProducts.com is a free service created by Independent Financial Advisers, Lowes Financial Management. 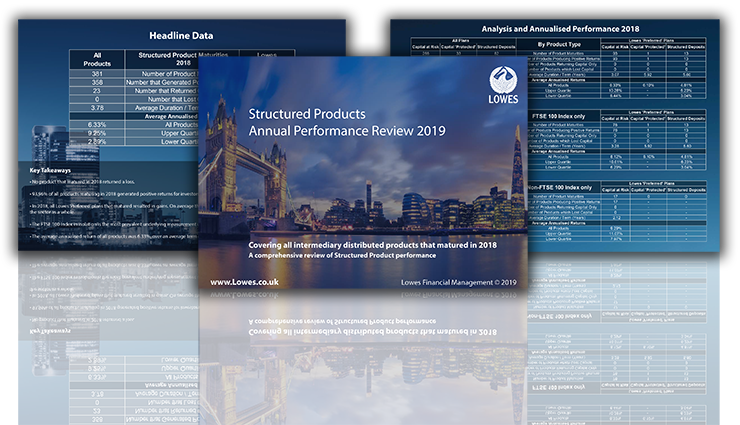 Here you will find information on a wide range of retail structured products, including brochures, key information documents and application forms completely free of charge. Our transparent fee structure ensures that you always know the cost of your investment. 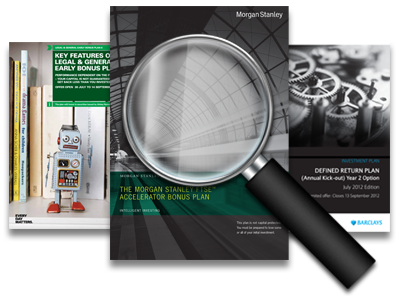 We monitor the performance of structured products and report individual/sector performance to clients. 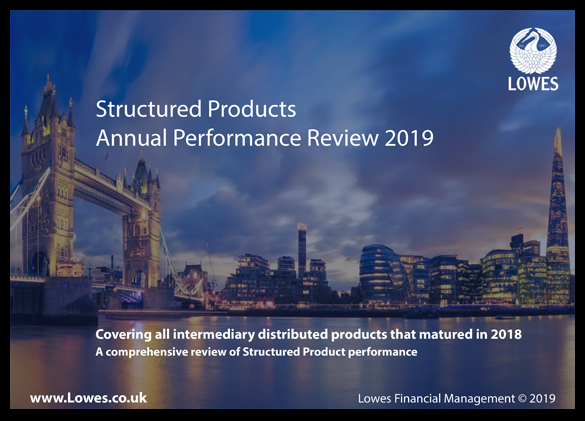 To view our Annual Performance Review of all intermediary distributed products that matured in 2018, please click on the image. Learn more about these investments. We have an extremely competitive fee structure that allows you to invest in structured products through us. Our fee for acting as intermediary for investments made through CompareStructuredProducts.com where no advice has been sought or given is 1.65% of the amount invested, and we can negotiate fees on investments over £100,000. Those plans which require investors to seek advice would incur a charge of 3% of the amount invested. If you have any doubts about the suitability of an investment for you or would like to invest in a plan that requires you to seek advice, please contact us on 0191 2818811 to arrange a free, no obligation consultation. Please note, the discounted fees offered by CompareStructuredProducts.com for execution only business should not deter you from seeking financial advice. 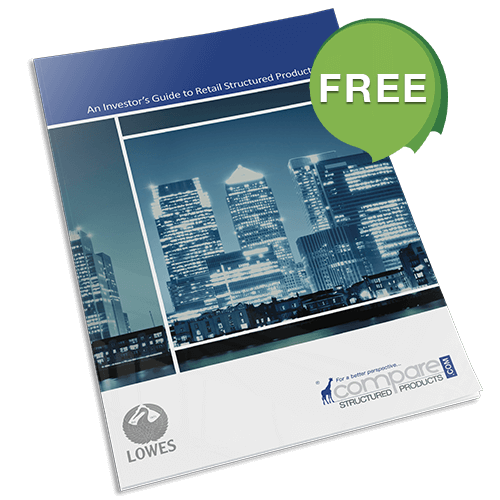 To download the free guide please complete the form below. Submission error, please try again later.